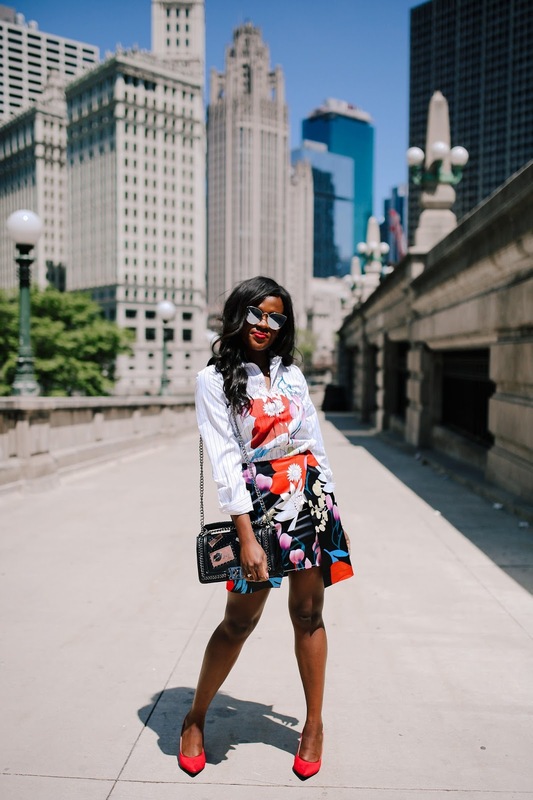 Florals in Spring? Not exactly ground breaking but we still love it! 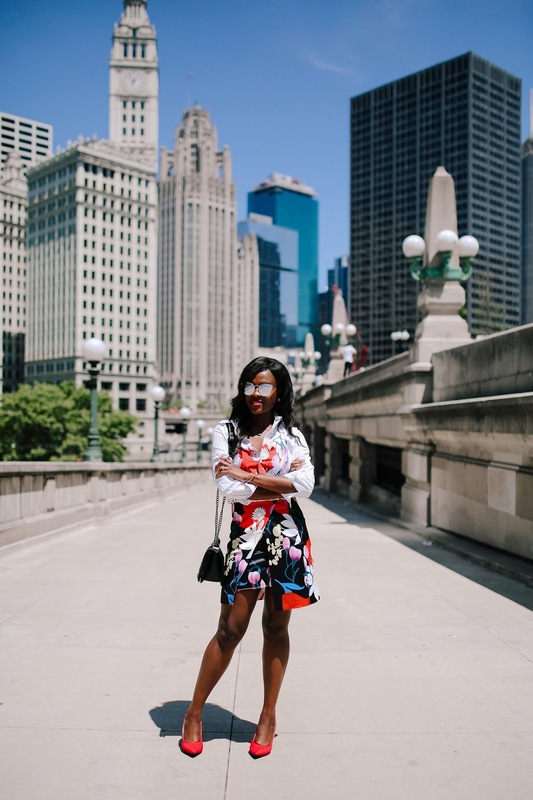 Florals in Spring? Not exactly groundbreaking but we still love it! They are still fun to wear especially at the first signs of warm weather, coupled with the joy you experience at burying those winter jackets at the very bottom of your storage boxes. 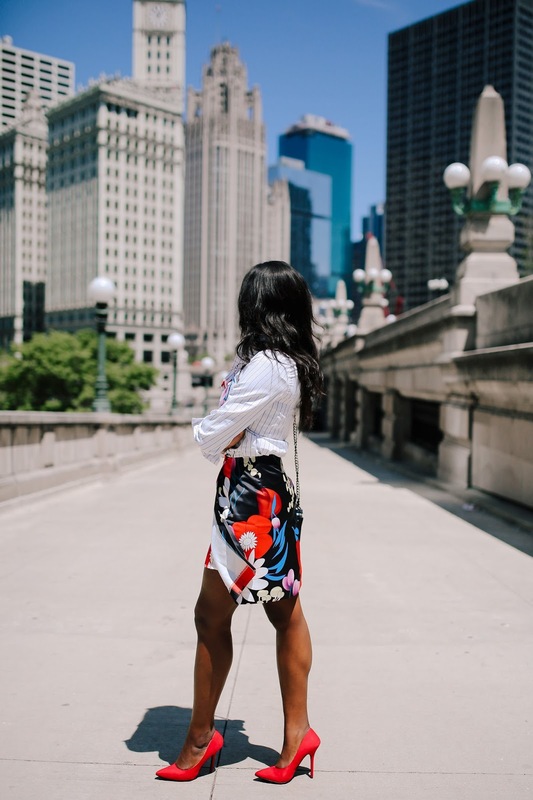 Typically found on frocks and skirts, it is practically the easiest way to transition into Spring/ Summer style for summer parties, garden parties and weddings. 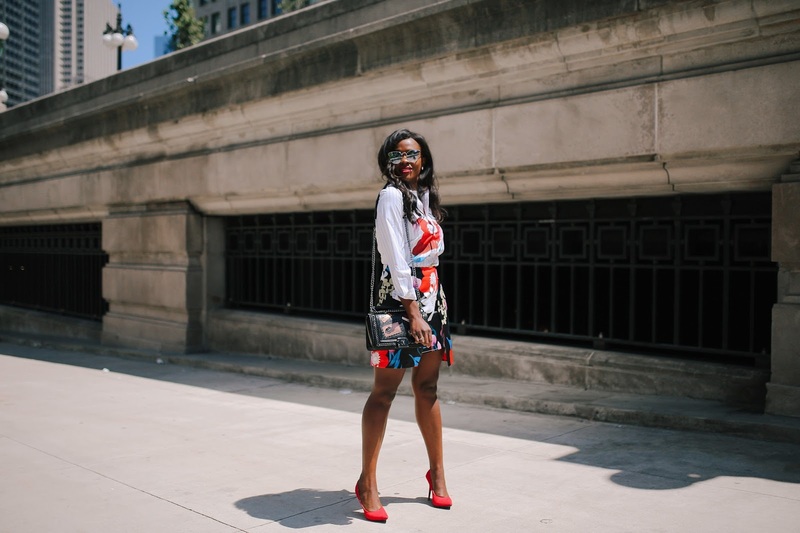 Incorporating florals into work wear can be tricky because they could be bright and distracting. 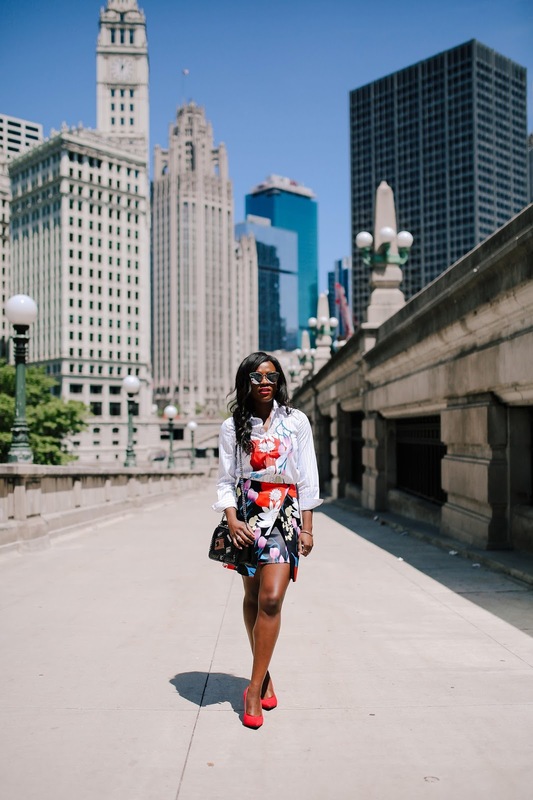 However, I am teaming up with VIPme for another post to show you how to pull off wearing florals to work. Pairing with an office appropriate striped top is a great way to incorporate it into your wardrobe. Business on top, party on the bottom. Besides, think about how easy this would be for transitioning to happy hour. 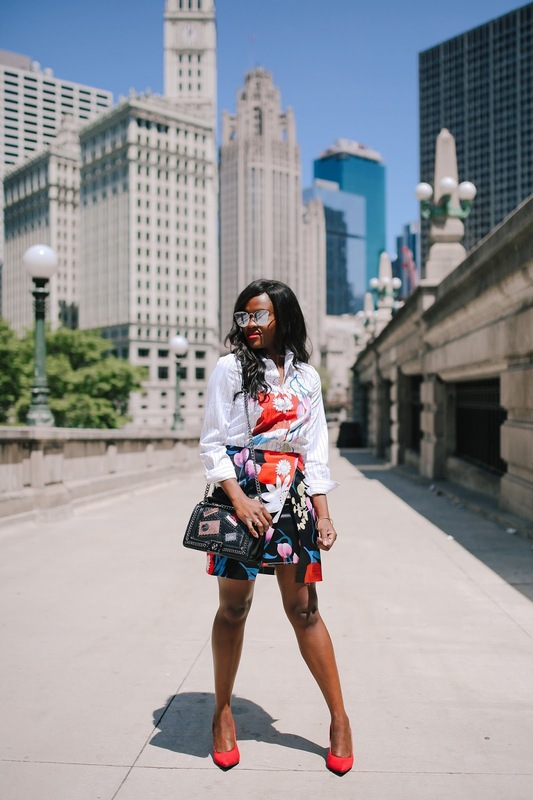 This particular two-piece (yes, they come together) is a non-brainer because you can pair it with other pieces to create a whole different look. Plus it comes with a price tag of under $40. Ummm, you are welcome. A solid cardigan over a dress tones down the bright colors. 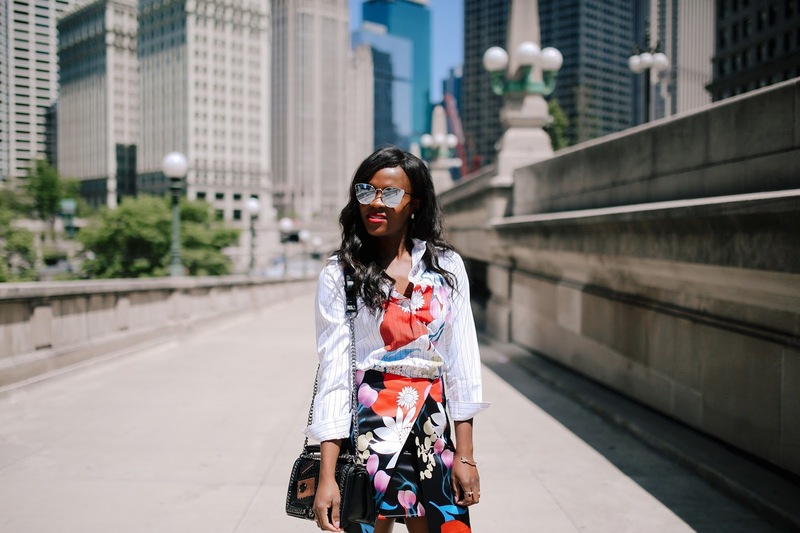 But if you just love your florals, wear it solo! Just remember to keep the jewelry to a minimum. Shop this two piece set and many other gorgeous business appropriate floral looks at VIPme. Use code “Jennifer563” to take $5 off your order of $50 or more.